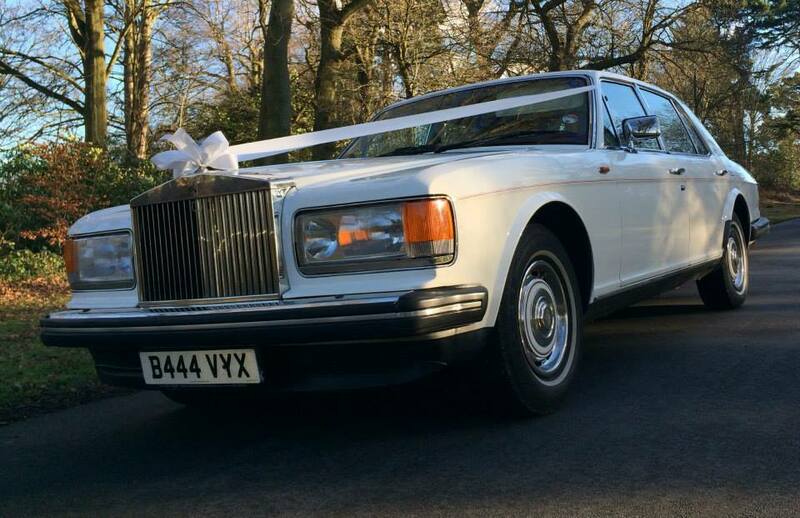 Classic Rolls Royce wedding car. 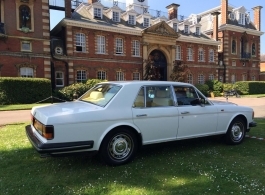 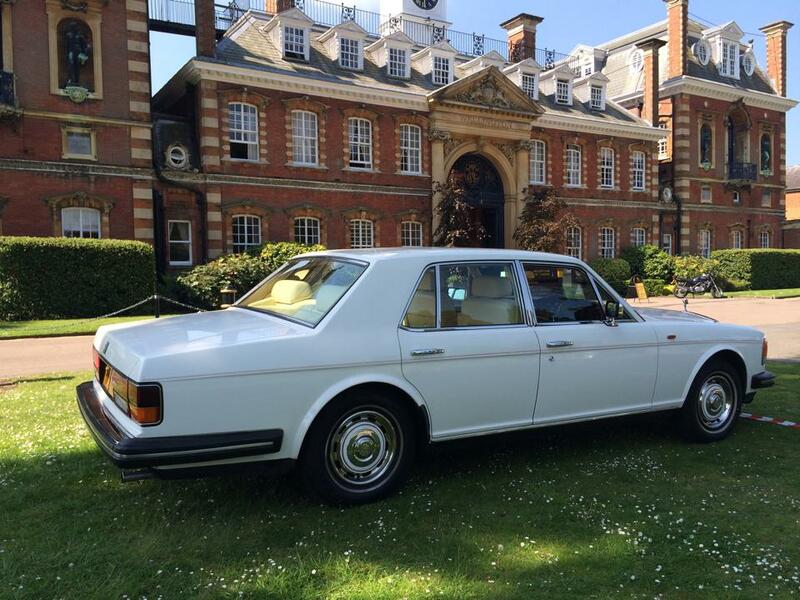 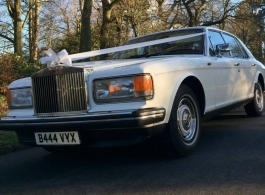 This 1985 Rolls Royce Silver Spirit is a truly stunning classic wedding car. 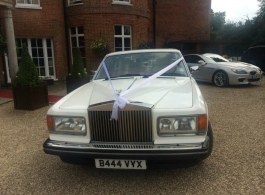 The car is immaculate, maintained to the highest standard and comes with a smart, uniformed Chauffeur and will be decorated with ribbons, bows and a floral display on the rear shelf. 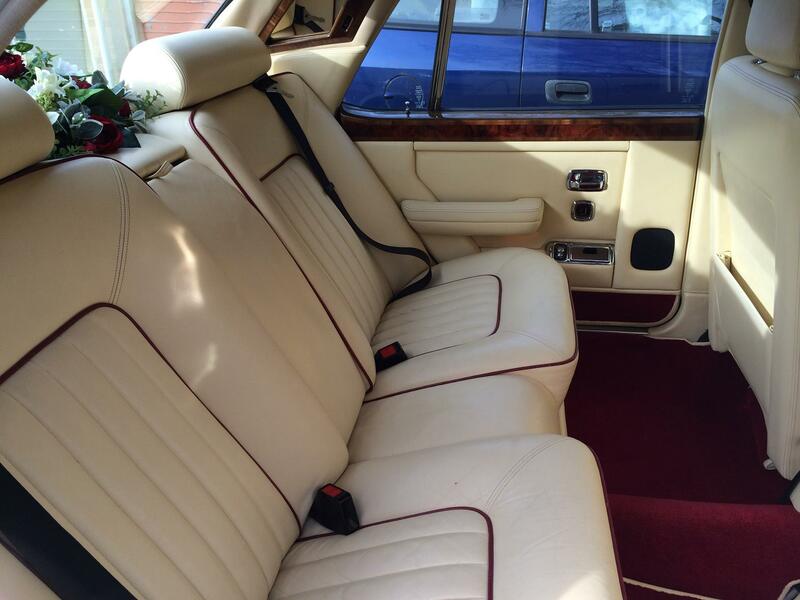 Luxurious and spacious interior with Cream leather seats & Red carpeting.